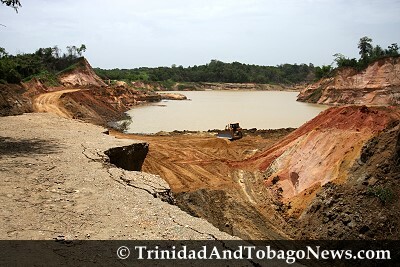 Published on November 19, 2011 in Flooding, General T&T, People's Partnership, Photos, PNM and Politics. 1 Comment Tags: Colm Imbert, Jack Warner, Kamla Persad-Bissessar, Maraval, T&T Govt. 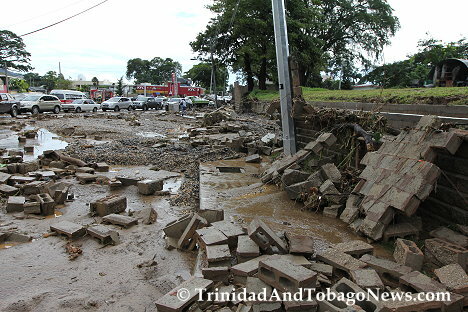 The retaining wall that collapsed was erected by the Government when they acquired land from the Country Club to widen the Maraval Road. The original wall was torn down to facilitate the new construction which was completed in May this year. 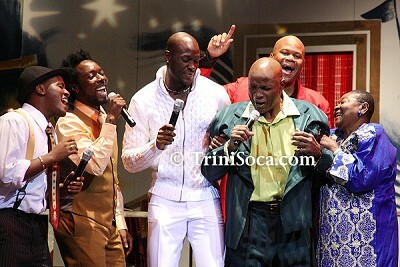 Published on June 15, 2011 in Culture, General T&T, Media and Photos. Closed Tags: NAPA, steelpan. Published on June 4, 2011 in Flooding, General T&T, Photos and Weather. 20 Comments Tags: Disaster, Flooding. Published on September 2, 2010 in Culture, General T&T, People's Partnership, Photos and Politics. 2 Comments Tags: Independence Awards, Jack Warner, Kamla Persad-Bissessar, Politics, Winston 'Gypsy' Peters. 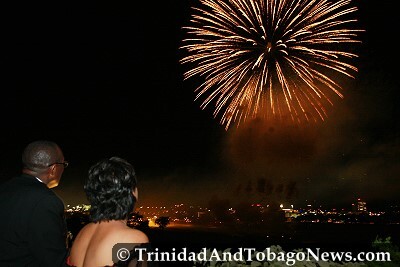 Published on July 21, 2010 in Culture, Entertainment, Features, General T&T and Photos. 10 Comments Tags: Calypso, Mighty Sparrow, Monarchs, NAPA Fest, Slinger Francisco. Renowned calypso icon Slinger Francisco, popularly known as Sparrow, is resting comfortably at a private hospital in Maryland, United States, after undergoing emergency surgery. Slinger Francisco (The Mighty Sparrow) was yesterday in good spirits and recuperating well following emergency surgery on Sunday to treat an incarcerated right inguinal hernia. 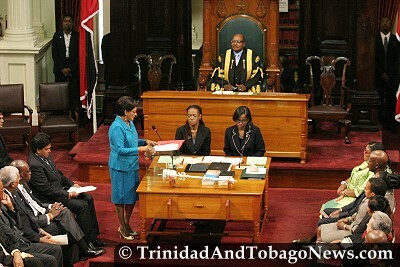 Published on July 16, 2010 in Features, General T&T, Media, People's Partnership and Photos. 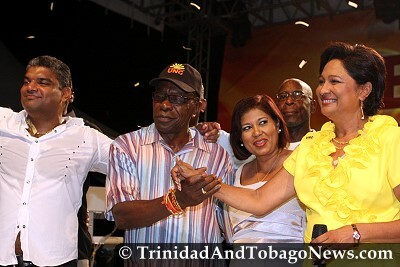 Closed Tags: Kamla Persad-Bissessar, Patrick Manning, Prime Minister's Residence, UDeCOTT. 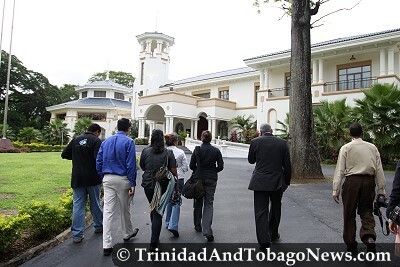 On Thursday July 01st 2010, the media toured the Prime Minister’s Residence and Diplomatic Centre at La Fantasie Road, St Ann’s. The tour was led by Government’s press secretary Garvin Nicholas and head of the Prime Minister’s household Armando D’Souza. On July 1, I had the opportunity to visit the Prime Minister’s residence and Diplomatic Centre along with my media colleagues. Published on June 20, 2010 in COP, Elections, Entertainment, General T&T, NJAC, People's Partnership, Photos, Politics and UNC. 3 Comments Tags: Jack Warner, Kamla Persad-Bissessar, Politics, T&T Govt. Published on June 19, 2010 in COP, Elections, General T&T, NJAC, Parliament, People's Partnership, Photos, PNM, Politics and UNC. 2 Comments Tags: Basdeo Panday, Jack Warner, Kamla Persad-Bissessar, Keith Rowley, Parliament, Patrick Manning, Politics, T&T Govt.